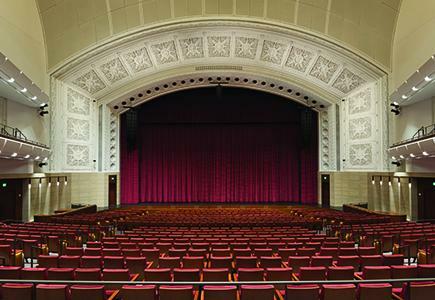 Northrop Auditorium. Photo by Paul Crosby. Northrop Atrium. Photo by Paul Crosby. 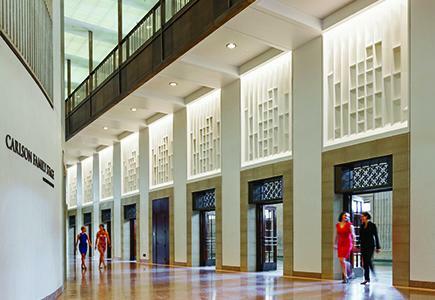 HGA Architects and Engineers (HGA) worked with the University of Minnesota to transform the historic Northrop Auditorium, an architectural treasure, into a major arts venue that becomes a focus of campus life and the Twin Cities community. By successfully reconfiguring the auditorium and updating public spaces, HGA reimagined an innovative space that will serve multiple creative and academic functions, fulfilling the University’s mission to establish a “crossroads of learning, discovery, arts, and community.” Walk through the building with the architects – discuss the process, see the historic elements preserved within and as vibrant components of the new spaces. Perhaps you remember the decorative urns, the murals or the proscenium arch? Come visit them in their new home!